I am proud to introduce our Home Expressions by Jackson Design and Remodeling team. Each member of our talented and dedicated staff contributes singular skills and experience to achieve our common purpose: helping you customize your home to express your individual personality. We understand how important it is to learn about the people you will be working with when you are choosing a company for your remodeling project. Our team of exceptional professionals is enthusiastically committed to assuring your positive experience with Home Expressions. Learn more about Todd Jackson, Jackson Design and Remodeling, and the background of Home Expressions by Jackson Design and Remodeling here. 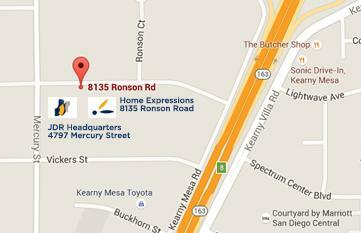 Keep in mind that you can always meet our team in person at one of our design and remodeling seminars! Many clients first meet Stina in person at one of the Design and Remodeling Seminars she is responsible for coordinating. She also handles a variety of essential communication and organizational tasks for clients and our team. Stina was born and raised in Connecticut, where her family bought a historical home, built in 1908, that became a beloved renovation project for the whole family. 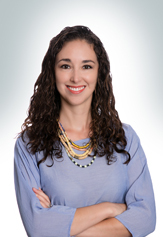 After studying Political Science and Sociology at the University of Connecticut, Stina moved to New York and then on to San Diego to earn her MBA at the University of San Diego. 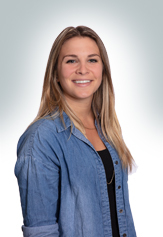 Stina has always been interested in the way things work and enjoys learning about the technical aspects of remodeling. Clients and team members rely on Stina as the agile, accessible and knowledgeable core of client relationship building. Contact Stina. to this essential position. She is a capable liaison for Home Expressions by JDR departments and outside agencies, answers client inquiries and provides timely information, schedules consultations and tours, manages appointments, and handles a variety of special projects with a winning combination of grace and tenacity. When she’s not at work, Emily enjoys hiking, road trips and spending time with friends. 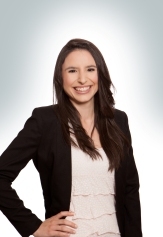 Yoal’s dedicated work ethic, organization, and positive attitude are invaluable to her team. She thrives in the creative environment of Home Expressions and enjoys contributing her excellent communication and technical skills as a member of a team with a shared commitment to creating an exceptional client experience. In her free time, Yoal runs a small event design studio with her mom and she and her husband enjoy supporting their young daughter’s artistic aspirations. During a prolific and successful career, George has designed and led hundreds of projects, from kitchens and baths to whole house remodels. His love for design and construction and experience in the kitchen helped George become one of the most respected kitchen designers in San Diego. George is driven to make clients happy in every way. He interprets client needs, assesses challenges, and develops innovative solutions that delight and inspire. Whether a client is searching for a look that is warm and cozy, uplifting and fresh, or modern and edgy, George combines expert guidance with a keen eye for detail, an ability to communicate a strong vision, and the leadership skills to successfully manage a project from start to finish. George’s experience in the kitchen often brings to light design elements not foreseen by the average cook. Having an extensive background in art gives him a discerning eye for color combinations and color balance sometimes overlooked in large-scale spaces. In his spare time, George is an active sports enthusiast who enjoys kayaking and sailing. He also loves to entertain at home, blending an enviable combination of cooking and design skills. Over the course of her impressive career, Betsy has designed hundreds of spaces. She owned a design firm for many years where she managed projects from start to finish and capably collaborated with architects, designers, construction professionals, and partners to achieve exceptional results. 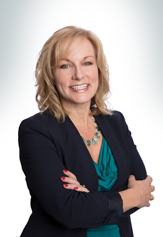 Betsy’s proven leadership skills embody both vision and collaboration; she excels at building relationships with individuals and teams to create living spaces that beautifully enhance client lifestyles. Betsy is a savvy problem-solver who develops innovative, thoughtful solutions. Her capacity for balancing the details of a project with the overall goals makes her an inspiring and effective director. Her wealth of knowledge allows her to imagine a myriad of possibilities for a space. Because she believes that teamwork engenders the best ideas, she deeply values establishing excellent relationships with team members and clients on each project. Her ability to connect and communicate helps her understand and interpret clients’ visions for their homes and determine inventive ways to realize goals. Betsy recently moved to San Diego to be closer to her children and grandchildren. When she’s not at work she enjoys spending time with her two Cavalier and King Charles pups, working out, and cooking. She also loves discovering unique and artistic activities around San Diego. 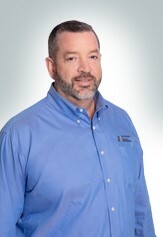 A consummate design build remodeling industry professional, Jonathan contributes knowledge and experience gained over decades of experience to his role as a Project Director for Home Expressions by Jackson Design and Remodeling. Jonathan is driven by his dedication to help clients and motivated by serving on a team committed to creating an exceptional client experience. His career was initially focused on hi-tech corporate training where he developed his impressive talent for explaining complex concepts and developing innovative processes. During a lull in the tech business, Jonathan rediscovered his love of furniture making and was drawn to work where he could use his hands and explore his lifelong interest in architecture. He immersed himself in the remodeling and building industries and studied each aspect of the business thoroughly to gain deeper understanding while mastering his skills as a Residential Designer. 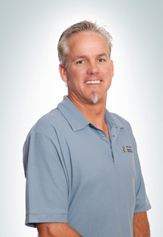 During Jonathan’s impressive career, he has designed hundreds of homes for clients in San Diego. An exceptional communicator with a strong grasp of details, Jonathan leaves nothing to chance when he is guiding clients through the process of bringing their visions for their homes to life. He demonstrates an inspiring level of dedication to each client he works with, always with the goal of helping clients achieve their hopes and dreams for their homes. Because of his broad level of experience, Jonathan capably manages both the overall scope and meticulous details of all design build projects, including those of significant scale. His outstanding technical skills, particularly in the realm of software, mean clients can always rely on Jonathan for the latest innovations in efficiency and creativity. When he’s not at work, Jonathan enjoys time with his family volunteering at his children’s schools and going on adventure camping trips. He still likes to build furniture in his spare time and enjoys checking out antique cars and motorcycles. 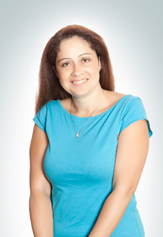 Tatiana has excelled in her field for more than two decades. Originally from Mexico City, Tatiana has traveled throughout the world, gaining inspiration from many cultures before making San Diego her home 20 years ago. She graduated from the Design Institute of San Diego with a BFA in Interior Design. She earned her CKD (Certified Kitchen Designer) & CBD (Certified Bath Designer) accreditation from the NKBA (National Kitchen and Bath Association.) Tatiana is an active member of the ASID (American Society of Interior Designers) and has served on its Board of Directors. Her work has been featured in the annual ASID Kitchen, Bath & More Tour since 2002. In 2017, Tatiana was named one of the Top 50 Design Innovators in the nation by Kitchen & Bath Design News in its inaugural “KBDN 50.” One of her designs won “2017 Kitchen of the Year” from San Diego Home/Garden Lifestyles and was featured on the cover. In 2015, Tatiana won the highly competitive Kitchen + Dining category in HGTV’s “Fresh Faces of Design” competition after five weeks of public voting at hgtv.com, and over 57.8 million page views. Tatiana’s projects have been recognized by ASID (Design Excellence Awards), NKBA (NKBA Star Awards), NARI (CotY Awards), Qualified Remodeler (Master Design Awards) and the Chrysalis Awards. Her designs have been published numerous times in such online and print publications as HGTV.com, Better Homes and Gardens, Cottages & Bungalows, Cottage White, San Diego Magazine, Qualified Remodeler, San Diego Home/Garden Lifestyles, Kitchens, Ranch &Coast, Kitchen & Bath Design News, KBB, Houzz, Modern Luxury and The San Diego Union Tribune. One of her kitchen designs was named Best Kitchen by the readers of Architectural Digest in its 2013 Before + After: Reader Kitchens contest. In 2009, Tatiana was honored with a Tribute to Women & Industry (TWIN) award from the YWCA. 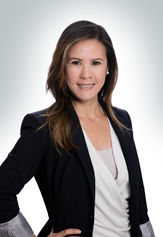 In 2010, Tatiana was named to San Diego Metropolitan Magazine’s “40 Under 40,” an annual list of the 40 individuals under the age of 40 whose outstanding business and civic contributions are shaping the region’s future. A prestigious newspaper in Mexico has featured weekly articles on design trends with Tatiana’s collaboration. 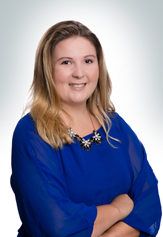 Tatiana’s creative inspiration, innovative skills and intuitive understanding of client needs are demonstrated in the diverse solutions she creates, always uniquely suited to each individual client. Her passion for beautiful design is evident in the style and functionality she infuses into each project she undertakes. Tatiana’s effective management of the design department ensures smooth communication and implementation while the design and production departments work together to make each project a success. Her distinct talent, attention to client satisfaction and remarkable project outcomes are all part of her substantial contribution to JDR. Tatiana’s leadership of the Home Expressions by JDR’s Design Department assures smooth communication and implementation while the design and production departments work together to make each Home Expressions project a success. self-expression and comfort is the ultimate achievement for Pamela. In addition to her career in interior design, Pamela worked for many years in the luxury hospitality industry with a four-star, five-diamond resort. She learned the art of fine living and how to provide a seamless experience for clientele. This background has given her a strong foundation in developing client relationships and an understanding of how to create comfortable, luxurious surroundings. 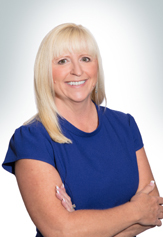 Helping clients achieve and fulfill a vision for their homes is a passion for Pamela, who has dedicated much of her career to extraordinary client care. Pamela’s abilities to guide, inspire, and create help Home Expressions’ clients imagine creative and functional possibilities for their homes. 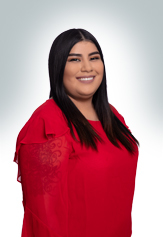 Pamela graduated with honors from San Diego State’s FIDER accredited Interior Design Program, earning a BA in Fine Arts with an emphasis in Interior Design. 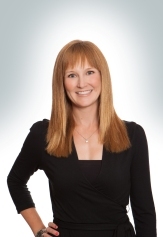 She is involved with the local chapter of NKBA and is an Allied member of ASID. 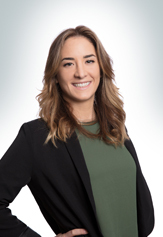 Working in the design build industry and as an independent designer in San Diego has afforded her a vast knowledge in construction and interior design. 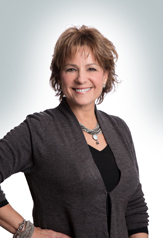 Pamela is well-versed in all aspects of residential design, including custom home design, architectural planning, energy-efficient design, kitchen and bath design, and custom cabinetry. In her spare time, Pamela is dedicated to a full life with her family and friends. She enjoys being outdoors, hiking, skiing, event planning, and traveling. The co-chair of Home Expressions by JDR’s Giving Back Committee, she loves participating in volunteer work with Habitat for Humanity, Friends and Family Community Connection, Susan G. Komen, Rancho Bernardo Community Presbyterian Church, and various other organizations that help enrich the lives of others. In addition to her Bachelor’s degree, Rosella earned a Master of Science in Architecture from The NewSchool of Architecture and Design. 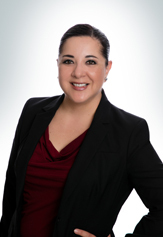 Since Rosella moved to San Diego in 2005, she has worked with clients on projects ranging from bathrooms and kitchens to whole home remodels. Her projects have been honored by ASID (Design Excellence Awards), NARI (CotY Awards), Qualified Remodeler Magazine (Master Design Awards), and the Chrysalis Awards. 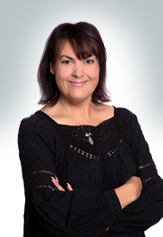 Her work has been featured in various publications including The Union Tribune, San Diego Home/Garden Lifestyles, Cottages and Bungalows, and the front cover of Qualified Remodeler. 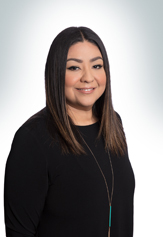 Rosella is an Allied member of the ASID (American Society of Interior Designers) and an active member of the NKBA (National Kitchen and Bath Association). Rosella goes to an orphanage in Tijuana once a month, she is part of a project called “El Arte alimenta – art nourishes” a non-profit art education program, Its mision is to help the artistic development and creative thinking of foster children and teenagers. Her designs have been featured in national publications, including Cottages & Bungalows Magazine and Make it Organized Magazine. Alison attained certification from the National Kitchen and Bath Association as an Associate Kitchen & Bath Designer (AKBD) and is an Allied Member of the American Society of Interior Designers (ASID). She earned a Bachelor of Fine Arts in Interior Design from the Design Institute of San Diego. Alison was inspired to pursue a career in design from a young age when her family moved into a new house that required a whole home design and she discovered how much she enjoyed creating from a blank slate. Alison is a talented and diligent professional who has demonstrated an ability to create nationally recognized, award-winning designs while also mentoring others, volunteering in her community, and dedicating herself to the success of her team as a whole. She is an Allied Member of the American Society of Interior Designers (ASID). Jen’s passion for interior design is driven by the satisfaction of helping to transform people’s lifestyles with design. She combines an artistic and analytical approach and is driven to master new concepts, stay current with industry trends and help Home Expressions clients visualize their dreams for their homes. Clients appreciate Jen’s ability to listen closely, communicate responsively and intuitively encapsulate their needs and desires. During her rare free time, Jen enjoys spending time with her family and frequently participates in Home Expressions events giving back to the community. expertly convey to clients a vision for transforming their homes. Gabriel’s passion for architecture is expressed in his attention to proportions, balance, symmetry, and finding the dramatic focal points in each design. His in-depth knowledge of how things are built was strengthened during a time in his career when he designed and built custom furniture. Gabriel’s thoughtful approach considers how every aspect of a design, from layout to lighting, affects the people living in a space. An artist at heart, Gabriel is inspired by the creative process of sketching, drafting, and space planning while developing innovative architectural designs. 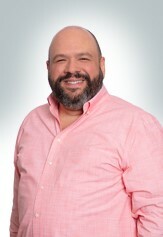 He derives special joy from working closely with clients to understand their goals and dreams for their homes. Gabriel’s artistic nature, enthusiasm, and positive attitude are invaluable assets to the team. 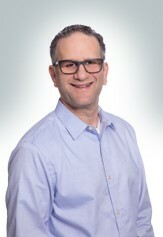 He is an imaginative thinker who also appreciates the structured systems and processes that Home Expressions by JDR has developed to provide an exceptional and enjoyable client experience for each project. When he’s not at work, Gabriel can be found exploring nature or discovering an exciting new restaurant, one of his favorite activities during the ten years he lived in New York before making San Diego his home. Shortly after graduating from FIDM, Marisela joined Home Expressions by JDR and continued to learn her craft hands-on from the senior design team. She appreciates the creativity of designing layouts and seeing a project through from conception to completion in a design build remodeling environment. 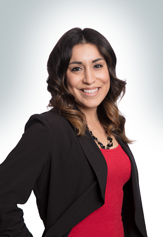 Marisela is an excellent communicator who is dedicated to building rapport and trust with clients. She goes to any lengths to make sure clients are completely satisfied with every aspect of their projects. During her time away from the design studio, Marisela enjoys socializing with family and friends. her childhood sparked a strong interest in Interior Design.After graduating from San Diego State with a BA in Applied Arts and Sciences with an Emphasis in Interior Design, Jennifer strengthened her business and design skills in a series of internships and positions in the creative field before joining Home Expressions. 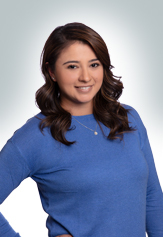 Born, raised and educated in San Diego, Jennifer loves her hometown and still enjoys playing tourist here during her leisure time with a close circle of friends and family. As a San Diego native she enjoys exploring her beautiful hometown and draws design inspiration from its abundant cultural life and natural beauty. She is exhilarated by the collaborative aspect of design, discovering how to translate client dreams into reality and create beautiful, functional homes that enhance their lifestyles. Sustainability has been a driving force in Erica’s life and she is always excited to explore how architecture and remodeling can have an impact on the planet. 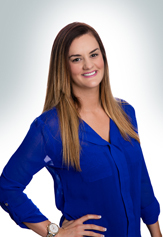 A Certified Yoga Instructor, Erica is focused on beauty and wellness in many aspects of her life. She loves to experiment with woodcraft during her free time, building large artistic and functional pieces. Christine’s grandfather was a talented woodworker and she was fascinated as a child watching him in his workshop. One of her first jobs was working in a kitchen design showroom after high school where she deepened her interest and knowledge in the creative and technical aspects of home design. She decided to pursue a career in the industry and gained several years of experience in kitchen and bath design with an emphasis on cabinetry. Her expertise with a broad range of cabinetry styles is exceptional and appreciated in Home Expressions by JDR’s Design Department, where personalized design for each client is emphasized. Christine recently moved to San Diego from the East Coast. When she’s not at work, she loves to explore her new surroundings and enjoys camping, hiking, and going to the beach. as well as hands-on production work. As Production Manager, Brent oversees the Production, Purchasing and Painting Departments and team of project managers and field staff. 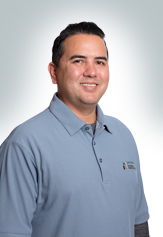 He is responsible for developing, implementing, and refining the Production policies, procedures and systems that make each Home Expressions project a successful experience for our clients. In keeping with the company’s commitment to ‘Build Clients for Life’, Brent also manages Home Expressions by JDR’s Premium Client Care Warranty process. 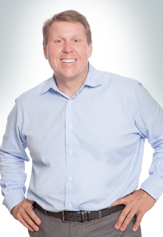 Brent is dedicated to assuring that each client’s expectations are exceeded. Working with a unified team of architects, designers, and construction professionals, Brent appreciates being an integral part of transforming clients’ homes. A committed family man, Brent enjoys his time away from work with his wife, children and grandchildren. are valuable assets in the work environment. 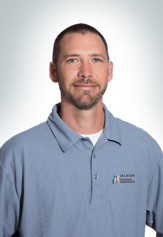 Jesse assists the Production Manager with a variety of tasks, oversees the finish carpentry trades, steps in as a manager on projects as needed, and ensures Home Expressions clients each have an exceptional, stress-free remodeling experience. Her affinity for working with others is appreciated in Home Expressions’ collaborative, team oriented environment. Teri embraces the fast-paced variety of her responsibilities and is enthusiastic about working in the design and remodeling industry where each day is full of variety. When she’s not at work, Teri enjoys relaxing at the beach with friends and her Shih Tzu, Nuisance. skills and is motivated by Home Expressions’ strong team environment with everyone dedicated to the unified goal of providing exceptional service to clients. When she’s not at work Cynthia enjoys photography and going on long hikes in nature. building excellent relationships with each Home Expressions client.This knowledge underscores all of his client interactions. Mike started working in the construction industry as a teenager and found a lifelong occupation. Beginning as a layout/plater and framer for a construction company specializing in new home developments, he soon worked his way up to Project Management. 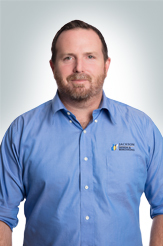 Mike’s extensive experience is invaluable in both the field and the office. He reads and interprets blueprints, meets with inspectors and ensures code compliance, with a continual focus on customer satisfaction. 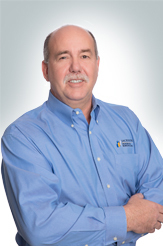 Overseeing multiple job sites, Mike ensures that each project exceeds client expectations. 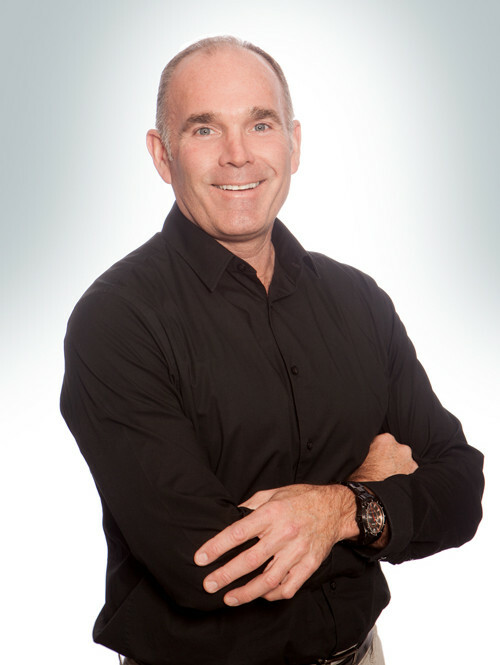 Steve is attuned to clients’ needs and committed to providing an exceptional experience for each project. When he’s not at work, he enjoys long country road trips on his Harley. 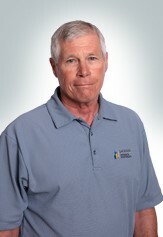 Jerry has a keen understanding of the details of craftsmanship balanced with excellent communication skills. 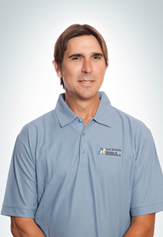 He is a highly motivated professional who finds inspiration in exceeding the expectations of clients. Jerry appreciates the unified team environment of Home Expressions and the organized systems and processes the team has developed. When he’s not at work, Jerry focuses on family time, sharing outdoor and cultural adventures with his fiancé and children. and applies his excellent problem-solving skills to the task at hand. Caring for people and ensuring an extraordinary client experience are his primary concerns. When he’s not at work, Lucas practices on drums to express his lifelong love of music and spends time with his wife and their six children. He ensures timely delivery of all special orders and materials to each job site and anticipates materials needs as each job progresses. Mark analyzes and organizes the costs for each project, from the smallest details to the most significant expenses, so that each client knows how much a project will cost before the project begins. Home Expressions by JDR’s accounting processes, including the development of controls to maximize efficiency and transparency. She manages the preparation and analysis of all financial reports, including budgets, forecasts, financial statements, and more. Laurie’s exceptional people skills are a valuable asset as she oversees the Accounting Department to ensure an accurate, timely, and responsive flow of analysis and communication both internally and externally. Laurie loves the challenge of solving a puzzle and enjoys how the remodeling process dramatically transforms clients’ homes and lives. She is a dynamic leader who strives to bring out the best in her peers with an enthusiastic motivation to achieve results. One of 12 children born and raised in Poway, Laurie has accounting in her genes; her father was a high-level accountant who also worked in the construction industry. When not visiting with nearby children and grandchildren, Laurie and her husband are avid golfers who enjoy spending the weekend on the green. 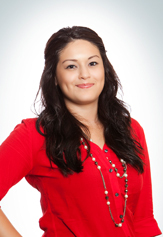 Her dedication to both strategy and details makes Maria a valuable asset to the Home Expressions team. Maria earned her BS from the School of Management at Boston College and has over 15 years of accounting experience in the building industry. She was born in the Dominican Republic and raised in Boston, where she became an avid Red Sox fan. Danica is working toward a Bachelor of Science degree in Business Administration at California State University, San Marcos.